After spending another weekend at Disney, we are definitely getting our use out of our annual passes! Saturday was a unique experience that we will be doing again. 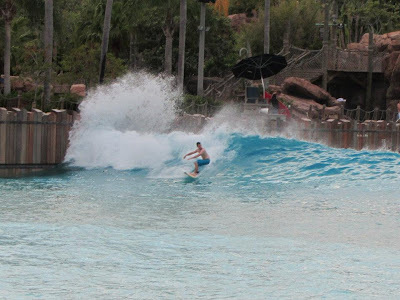 Gabe's cousin, Dylan, set up a private surf session at Typhoon Lagoon on Saturday night. 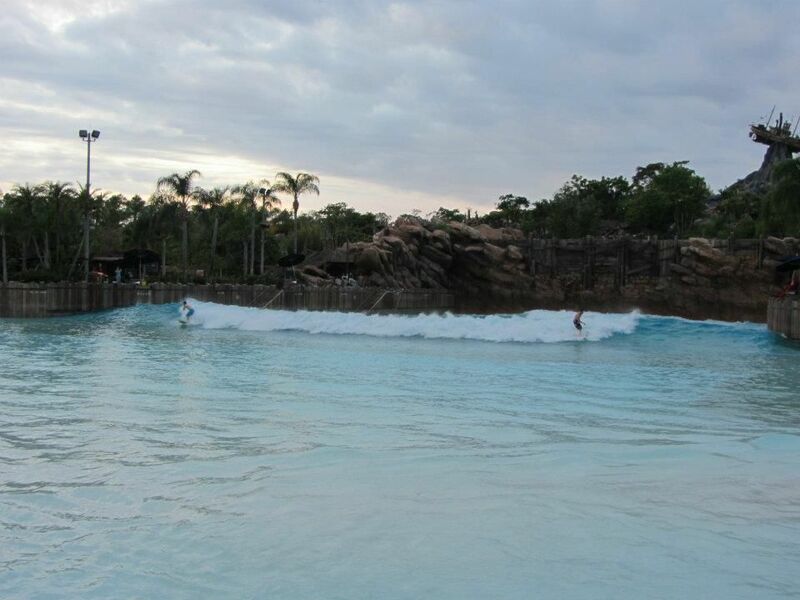 A group of 10 guys got to surf the wave pool! I got to come in for a short time to watch them. It was pretty awesome to say the least. They chose how to split up 100 waves anyway they wanted. The first 50 were split up by individual waves and here is a photo of one Gabe got a good ride on. For anyone that surfs who has the opportunity to do this, it was a pretty cool experience. The cost for the rental was $1400 (split by 10 was $140 each for 3 hours of surf). You can get more people to come, the $1400 gets you 100 waves, you decide how you want to split it up. Whether it be on the sea or at a pool. surfing is one and the same enjoyable sport. I had surfed in the ocean, but never in a wave pool. I heard most surf training begin in the pool. I bet you really enjoyed the surfing experience you had in the Typhoon lagoon, it looks really thrilling. We also have a surfing spot in Florida and I really the experience well, they actually put some tampa pool fences and some protection nets to be able to ensure the safety of everyone in the said place but I think I have to visit Typhoon Lagoon for this. New England Style Hot Dog Buns in Florida!! Shrimp & Co Ybor Groupon!! Tower of Terror 10 miler?! What was I thinking?